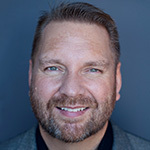 SEO Minneapolis - Seminar with TopRank's Lee Odden, Jill Whalen and More! Renowned search engine optimization expert, Jill Whalen of High Rankings is bringing her traveling SEO experts roadshow to Minneapolis this coming March 15th and 16th. I am honored to say that Jill has asked me to participate in the training as well. Since this is the first time Jill has brought the High Rankings SEO Seminar to Minneapolis, I asked her for a quick interview. Be sure to read to the end since there’s a big discount for Online Marketing Blog readers. Jill, you’re pretty much a legend in the SEO business with a very successful newsletter, forum and SEO consulting business. What made you decide to start doing SEO training seminars? I have been writing about SEO since before the turn of the century, and was first invited to speak at conferences and seminars towards the end of 2001. At first, I was scared to death as I hadn’t done any public speaking. I was very confident about my writing abilities, but as an introverted Internet geek, I wasn’t so sure about my speaking abilities. Knowing every facet of SEO as well as I did, however, made it go a whole lot easier for me, and even though I was usually nervous before I had to speak, I found that if I just translated my written thoughts into verbal ones, it seemed to work well for the audience. With more practice and speaking opportunities during 2001 and 2002, I eventually got to a point where I stopped being nervous at all. During that time, I always felt like SEO newbies could really benefit if I had an opportunity to present *all* the info I knew about SEO, as opposed to just a half-hour presentation like I was doing at the conferences. It was nagging at the back of my mind for quite some time, but I knew it would be way too much work to try to set up my own seminars. As fate would have it, an old friend of mine emailed me after reading one of my newsletters and said, “You know, with all your SEO knowledge and knack for explaining it so well to the layman, you really should be holding seminars or training sessions!” When she told me about her experience with event planning, and how all I’d have to do is show up and she’d take care of the rest, it was an offer I couldn’t refuse. And the rest, as they say, is history! How did you decide on the speakers and can you share any info on what unique specialties each one brings to the table? The first couple of seminars starting way back in 2002 were just me speaking. But a magical thing happened at our Atlanta seminar. A bunch of my High Rankings forum moderators (and online friends) decided it would be great to visit with me while I was in Atlanta. For the most part, these friends didn’t even know each other at the time; however, we all had an awesome time together during the seminar and in the off-hours. They also helped me field SEO questions from the seminar attendees. That’s when I realized that we could make the seminar so much better if I invited these amazing people to impart their search engine marketing wisdom with me at the seminars. 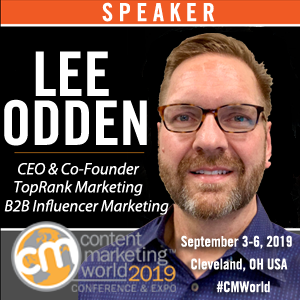 The line up of speakers has changed slightly from seminar to seminar, but for the most part, they’ve generally been High Rankings forum moderators and people that I am 100% positive know their search marketing specialties inside and out. Christine Churchill from KeyRelevance who knows pretty much every facet of SEO and PPC. She’s been in the biz at least as long as I have, and perhaps even longer. 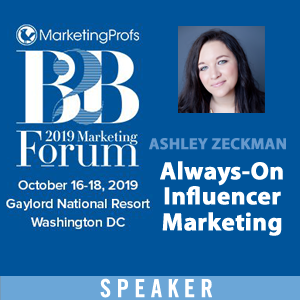 She’ll be speaking on two of her many areas of expertise, keyword research and pay-per-click advertising in her refreshingly down to earth presenting style. Karon Thackston from MarketingWords who is an expert in SEO copywriting as well as other forms of marketing copy. Karon has the amazing ability to understand target audiences and know exactly what to write in order to speak to them and get them excited about any given product or service. She also is a skilled and patient teacher whose hands-on writing workshops at the seminar are extremely popular. Scottie Claiborne from Successful-Sites who is an outstanding, creative idea person. While so many people market their websites by copying what others in their niche do, Scottie has a knack for figuring out a completely different way of doing things. She’s great at figuring out interesting ways of gaining links to sites and shares these during our link building session. Scottie will also be sharing her website usability knowledge during her usability clinic at the seminar. Matt Bailey from Site Logic, who is true motivational speaker. He does a terrific job of making web analytics fun and interesting and provides numerous “aha” moments to the attendees. His experience using numerous web statistic software packages is a great boon for the audience. Matt’s cool SEO tool session is also a crowd-pleaser as they learn about tons of free and low-priced software that can make their search marketing work a whole lot easier and less time consuming. 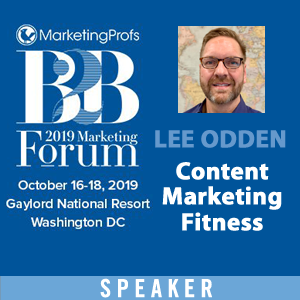 And new for the MN SEM Seminar is local Minnesota PR/Social Media guru, you…Lee Odden! We’ve been thinking about adding local experts to some of the seminars for awhile, and are pleased to have you on our agenda. I’m sure your many years in the PR biz, as well as your knowledge of search marketing and social media will help our seminar attendees wrap their heads around how all of it fits together. I know it’s a very confusing subject for many people. 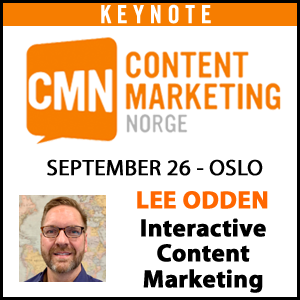 There are an increasing number of conferences that offer search marketing information. What’s different about the High Rankings Seminars? Ah, this is an easy one! There’s simply no other seminar that I know of where each speaker builds upon the information provided by the previous speaker. In fact, at many conferences I’ve attended, it can be the exact opposite. One presenter says one thing, and the next one contradicts him or her. It’s difficult for the budding search marketer to know who to believe under those circumstances. At the High Rankings seminar, we may not all completely 100% agree with each other, but for the most part, we use very similar techniques and have been for years. We know what works and what doesn’t through our many years of experience working on and testing things with our own and our clients sites. Our speakers don’t just talk or write about SEO and SEM, they do it every single day. And the really great thing that sets the HR seminars apart is that the attendees come away with a cohesive process that they can start implementing right away. Can you describe who the ideal person that should attend? Is it small businesses, in-house SEOs, corporate marketing, entreprenuers, web designers, copywriters, who? It’s definitely all of the above. The seminar is great for anyone who wants to learn about search engine marketing from the ground up. Our participants are generally beginners, advanced beginners and intermediate SEOs. However, we also get many attendees who I’d call advanced SEOs. They often come to validate that what they’re doing is correct, and to also gain a few additional nuggets of wisdom from our experts. From our evaluations, I’d say that most everyone who attends the seminar has found it to be an extremely worthwhile investment of their time and money.